Are you ready for Halloween? I'm not, but hopefully I will be by Friday - I have a costume party to go to. 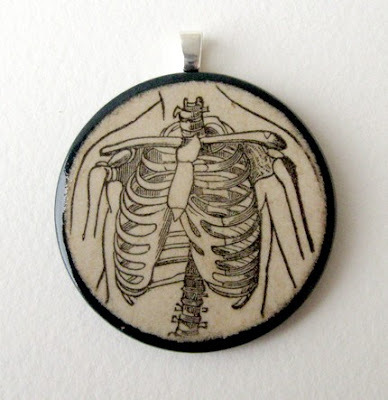 I think this nerdy thorax pendant from sushipot would be a great addition to anyone's costume or wardrobe, especially for the respiratory scientists I'll be partying with on Friday. Cool! Why do you always make me shop?